Log in to your Outlook.com account. Click the gear icon in the top right corner. 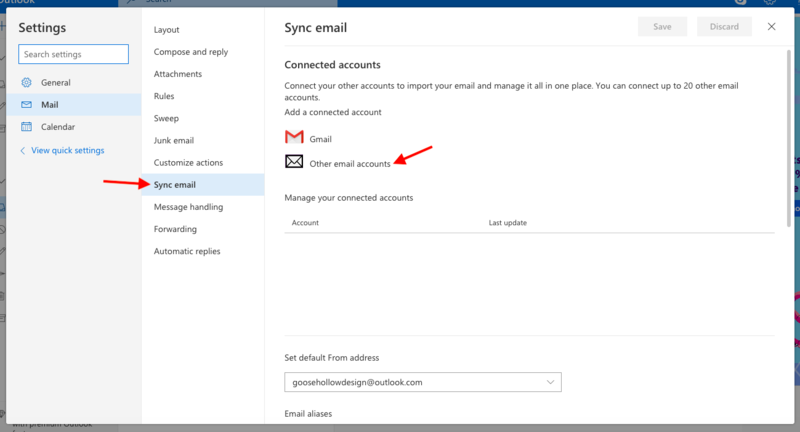 In the drop-down list, scroll to the bottom and select "View full settings"
On the settings page, choose "Sync email," then "Other email accounts"
Display name is the name that will show when email is sent from this address. Email address is your new custom email address. Create a new folder…" should be selected. In many cases, that's all you need to do. 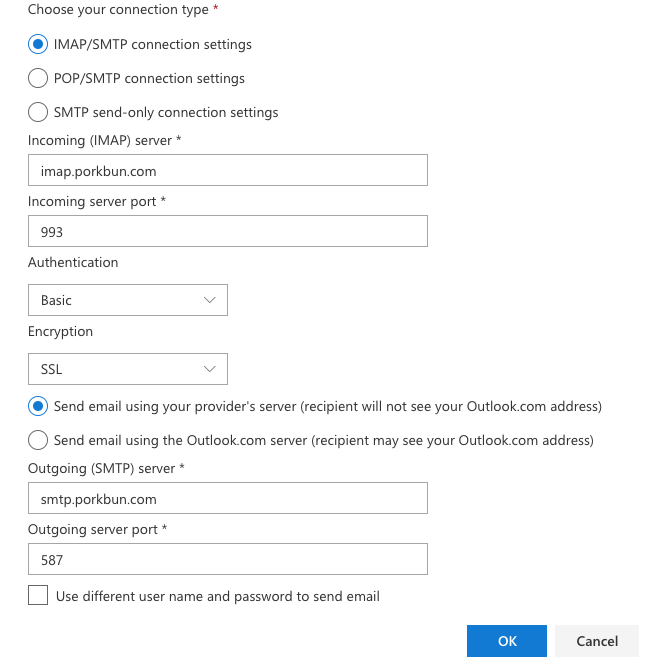 Outlook.com can usually determine your mail server settings and automatically connect them to your account. However, if it's not able to, you'll need to type in some additional details. 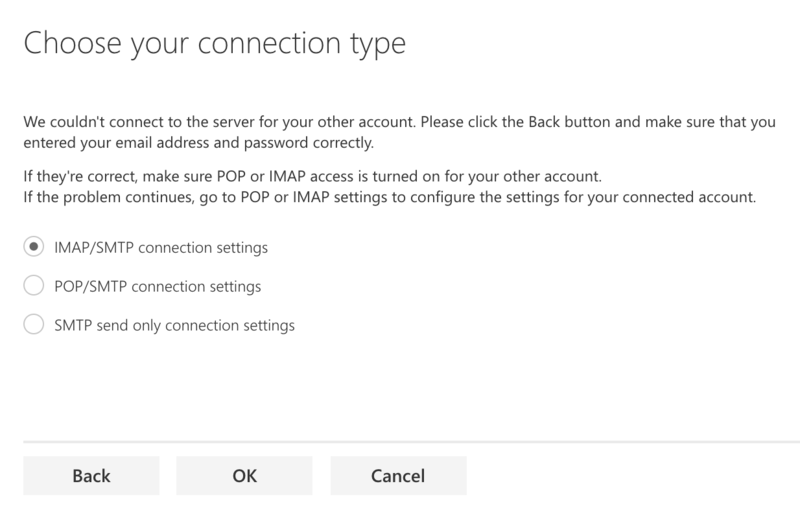 If you're presented with a screen that says "Choose your connection type" screen, select "IMAP/SMTP connection settings" and click "OK."
The "New IMAP account connection" screen has two primary areas. Email address is your custom email address. 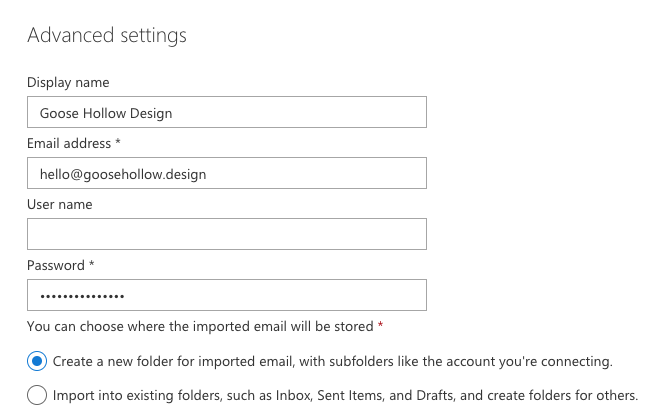 "Create a new folder for imported email…" should be selected. "Send email using your provider's server…" should be selected. "Use a different username…" should be unchecked. That's it! 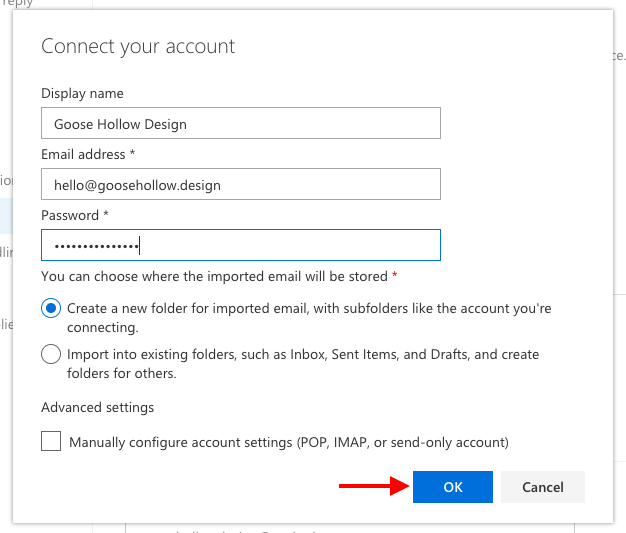 Your custom email address is now linked to Outlook.com.